As a Walk Organiser you become a member of our resort team and would spend half of your time out on the hill accompanying guests on our ‘Organised Walks’. The other half of your time is spent in resort. The Walk Organiser role is not an outdoor job in the traditional sense. It is a hospitality job with a great outdoor element. Along with our Chalet Host/Chef couples, the Walk Organiser’s main commitment is to looking after our guests in the chalets and all of the behind the scenes chores (except the cooking) which go into the smooth running of the chalets on a day to day basis. 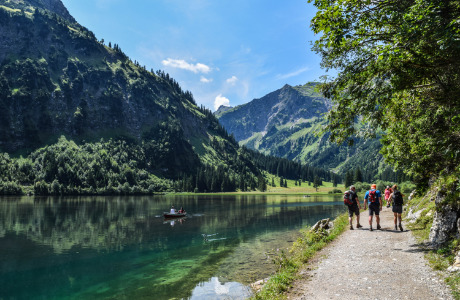 As a Walk Organiser you would spend roughly half of your time on Outdoor Days, when you accompany guests on our 'Organised Walks', and the other half being spent on Domestic Days. Domestic Days involve the day to day domestic chores required to keep our properties running efficiently. In the morning this would involve - making packed lunches, serving breakfast, cleaning & room changeovers, kitchen assistance etc. After a few hours free in the afternoon evening duties would start again just before 6pm at ‘Office Hour' (where we advise our guests on activities and ideas for the next day) then Dinner Duty, where we act as kitchen assistants to the Chalet Host/Chefs, serving and washing up, and most importantly as Dinner Hosts to our guests, eating with them, hosting the dinner party, enjoying the convivial atmosphere and sharing in the fun of this daily event. Once a week or so you would also be on Welcome Duty from 3:30pm, greeting arriving guests, doing some paperwork with them and settling them into their accommodation. Another weekly job might be an airport transfer down to Venice and back, in a 9 seater minibus on mountain roads and some motorway. Outdoor Days involve accompanying guests on our Organised Walks, reminding them of what to bring, showing them the way, looking out for their safety and welfare en route, chatting, getting to know them and enjoying each other's company as you walk. Later you would attend Office Hour again, sorting out their plans for the next day. 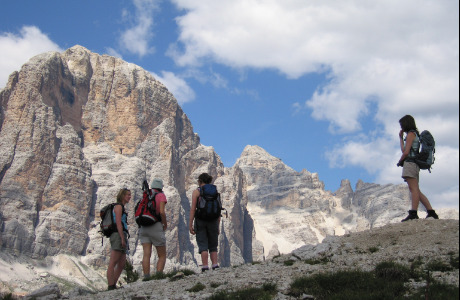 These are the days on which you can enjoy the breathtaking scenery that surrounds us in the areas in which we are based in the company of our guests, who, like you, are likely to have a passion for the great outdoors. These walks are the opportunity to really get to know our guests. The experiences shared and life stories divulged form weekly relationships which enhance the experience of everyone back in the chalets, guest and staff alike. Plenty of experience of walking in the mountains and navigating using a map in mountainous or wilderness areas, even it has just been as a hobby and not leading groups etc.. If you can navigate in the British hills you should be capable of navigating in the areas in which we are based. 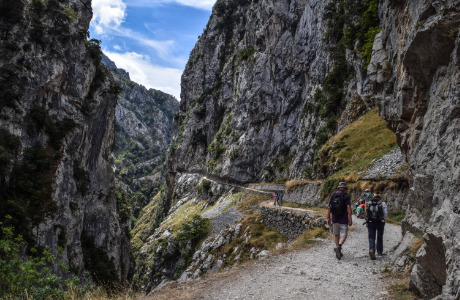 You need to be relatively fit and confident in high level mountain terrain and happy to accompany groups of guests on any grade of walk, whilst enjoying the day yourself. Full Driving Licence held for at least one year. Accompanied of course by plenty of driving experience and safe and sound driving skills. N.B. Whilst we need most of our team to be able to drive we can afford to take on one or two non drivers so please feel free to apply. 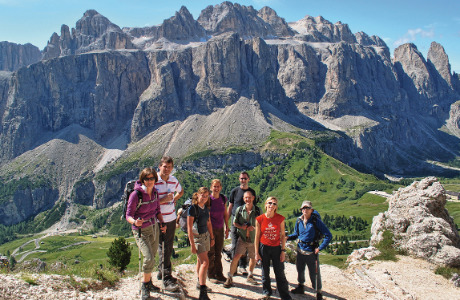 Working in one of the world's most spectacular mountain environments might turn out to be one of Work a season with Collett's in the beautiful Italian Dolomites, Austrian Alps, the Picos de Europa or the Pyrenees mountains of northern Spain. •Polite, responsible and helpful nature. Engaging and generous personality. 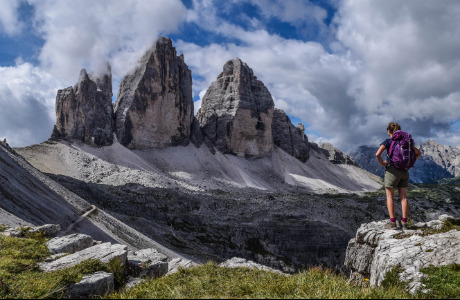 •Passion for a mountainous alpine environment. •Keen interest in walking in the mountains. •Respect for and interest in people, places and local culture. •Positive energy, hard work and a willingness to get stuck into a range of day to day domestic and menial resort chores. •Team skills /compatibility - a tolerant, flexible and supportive attitude. •The willingness to do jobs over and above a timetabled schedule. •A clear focus on the well-being and safety of others. 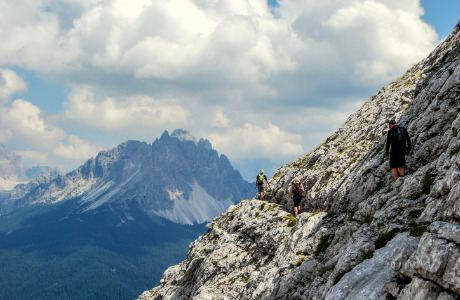 •To get the most out of this experience, we cannot over exaggerate the importance of having a keen interest in the alpine environment and mountain activities, especially walking or climbing. •'Organised Walks' - procedures and safety. •Hosting, Hospitality and Guest Wellbeing. •Local Knowledge, the Walks & other activities and local services. •Cleaning, Changeovers & Chalet Kitchen Assistance. •Packed Lunches, Breakfast & Dinner Service. •First Aid and Emergency Procedures.